Retired High Court judge and former Zimbabwe Electoral Commission chairperson Justice Simpson Mutambanengwe has died. Justice Mutambanengwe died in the early hours of yesterday while admitted at Paramount Hospital in Windhoek, Namibia. The judge, who was receiving treatment for kidney problems and diabetes, died of renal failure. Justice Mutambanengwe was now working as a legal consultant for the Namibian government after retiring from that country’s Supreme Court, where he once served as acting Chief Justice. Family spokesperson Mr Tumai Tanaka Mutambanengwe confirmed the death, saying burial arrangements will be announced after repatriation of the body. “He passed away around 1am today (yesterday) at Paramount Hospital in Namibia,” he said. “Mourners are gathered at Number 36 Wallis Road, Mandara, Harare. Justice Mutambanengwe was born in Mutare in 1930. He attended Mutambara Mission and Goromonzi High School, after which he worked as a teacher for one year at Old Umtali Mission. He read English and History at the University College of Rhodesia and Nyasaland and graduated with a Bachelor of Arts in 1959. He then read law at the Inner Temple in London and became an advocate in 1963. After practising law there until 1964, he returned to Rhodesia to work as an advocate until 1979. During that time, he also served as ZANU secretary for Foreign Affairs. From 1979, he worked as a lawyer in Zimbabwe until 1986 when he was appointed High Court Judge. In 1994, he was appointed to the Namibian High Court. Justice Mutambanengwe also served on the Supreme Court of Namibia, both as acting Chief Justice of Namibia and after his retirement, he worked several times as Acting Judge of Appeal. 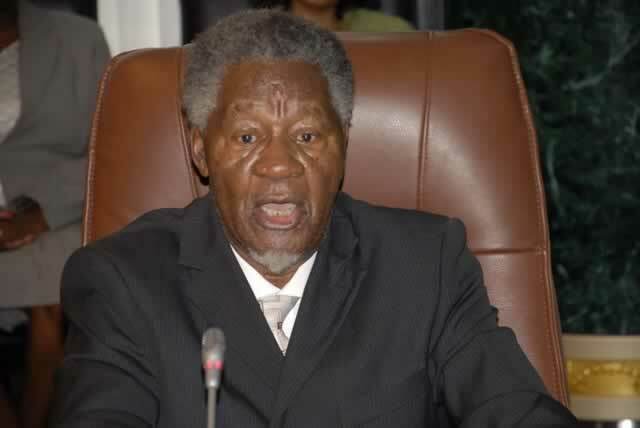 He was appointed chairman of the Zimbabwean Electoral Commission on March 31, 2010 and served for three years before stepping down on health grounds. Justice Mutambanengwe is survived by wife Juliana, three sons and 10 grandchildren.